Changing the way you see your database has an incredible impact on the depth and breadth of insights that can be obtained from the connections within. When a graph is visualized properly, patterns and clusters emerge that can lead to heightened recommendation insights, early fraud detection, better network analysis and so much more. 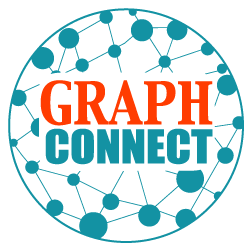 Three graph visualization partners will be presenting at GraphConnect 2014 to highlight the nuances between each visualization method, and showcase the possibilities that each toolkit brings. Find out more at www.graphconnect.com. Cambridge Intelligence recently released KeyLines 2.0, which will be showcased at GraphConnect 2014. With KeyLines 2.0, Cambridge Intelligence introduced the Time Bar, allowing for an unprecedented look at the way data changes over time. Find out more about KeyLines 2.0 on their website, or find them at GraphConnect 2014. With the release of Tom Sawyer Perspectives, TS Software opened the door for enterprise-class data relationship visualization and analysis, and “enabled teams to quickly develop production-quality data-oriented visualization applications.” The Tom Sawyer team will be on hand thorughout the day to walk through the new product features, and will participate in the GraphConnect Visualization Panel. Linkurious allows Neo4j users unparalleled access to data insights, with the ability to search and edit the graph within their web-based application. For more interesting use-cases made possible by Linkurious, check out the Linkurious Blog, or talk to them at GraphConnect 2014!